KoTiX -Tech & Mods: Some usefull informations and guides about Skinmanager and Skintool. Some usefull informations and guides about Skinmanager and Skintool. 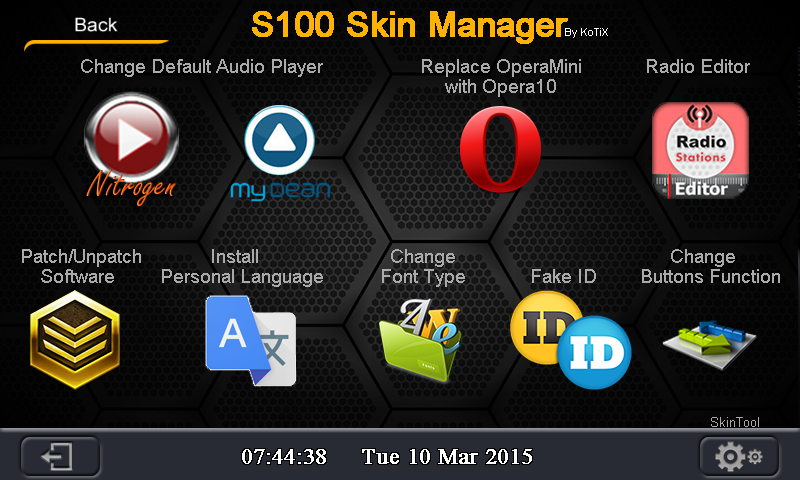 The S100 Skinmanager is a software developed by me from scratch that initially allowed the S100 owners to install alternative skins/themes only but now (it's already 2 years old) it's a lot of more powerfull and will let you change the default audio player, install language files, change fonts, fake the unit ID to another model, change the function of hardware buttons, etc..
My skinpacks come compressed in a RAR archive that you will have to extract in the root of the sd card: essentially you double click on the rar file, you hit "extract" and select the letter of the sdcard. In this way you will have a "Skinmanager" folder in the root of the sd. To run skinmanager you simply insert the SD card in the gps slot of your unit, set the path of the navigation software to point to "\Skinmanager\Skinmanager.exe" and press the Navi button. 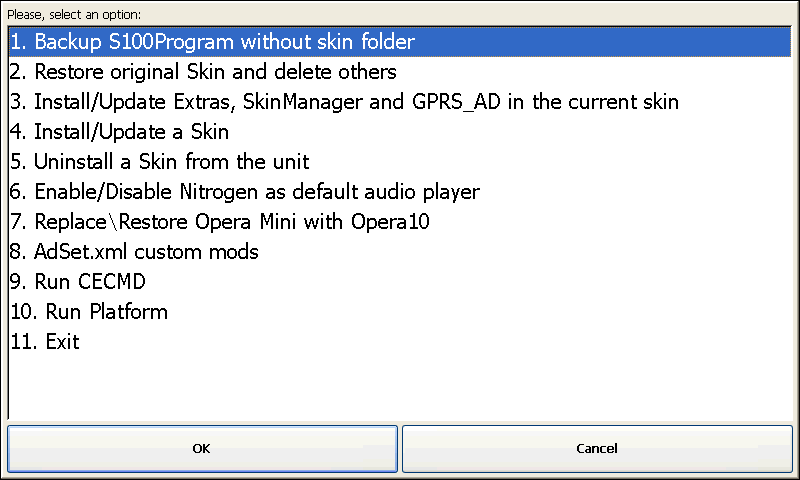 Below is the skinmanager home screen, the "Installed" label show up on the next run after you install a skin and the highlighted skin is the one currently in use. Clicking on a skin you will be prompted to Install it if it's not present in the unit or to switch to it if it's already installed. When you install a skin for the first time, skinmanager will create for safety reason a backup of the S100PROGRAM folder, the most important in the system. You have also an option in "skintool" to make a new backup everytime you need. During the installation various messages and prompts will help you understand and choose the best combination for your system. On the bottom left there is the "Exit" button to go back to the unit main software called "Platform"
The small camera at the bottom right is the screenshot tool button, clicking on it will appear a square on top right and double clicking on it will take the shot. The screenshots are saved on your sdcard. On bottom right of the screen there is my other creation: the skintool. 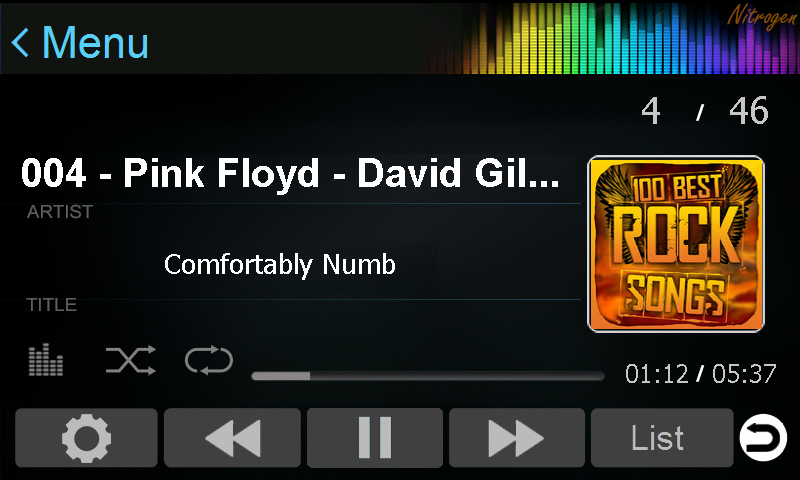 Here you can replace the audio player with two alternative players: Nitrogen It support playlists files (M3U, PLS) and have a quick and comfortable music browser by folder and the MyDean version of the original player : ﻿ the version showed here is in the carplay flavour but the original one have a big list view like this and a better layout than the original one. Radio Editor is a tool used to edit the Saved stations names, and to assign the button number to each station from 1 to 12. To use Radio Editor you need first to patch your system with a slightly modified version of the software, so at first run of radio editor, a script will check if your system is already patched and if not it will ask you to do it.The patch will allow the system to use unencripted and modified Language strings, to add buttons in radio section and other mods used to modify the userinterface. If you do all this correctly, you will end up having 6 station buttons at the bottom of the radio main screen and other 6 stations button in the RDS screen. The Nitrogen audio player is an alternative player to the default one, it support playlists in format m3u and pls, it can be controlled by the Steering Wheel Controls and has a very quick and comfortable file browser by folder and support the album.jpg cover format. 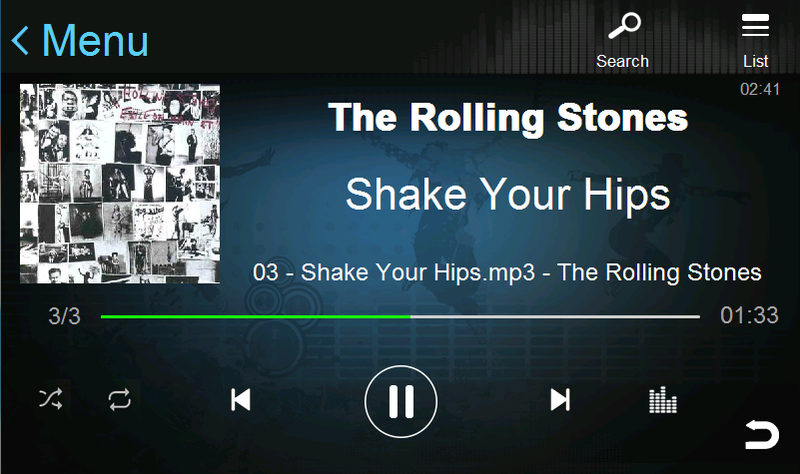 It can be used as a standalone application or it can replace completely the standard default player. To replace the standard player you need to go in "Customization" menu in skinmanager and choose the option to "Set as default player"; you can reverse to standard one at anytime selecting again the same option. 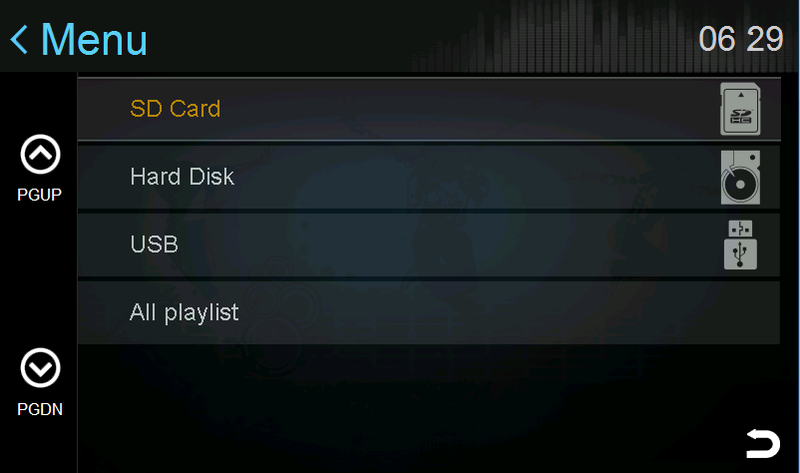 Nitrogen comes with some preloaded skins/themes that can be found in the Options menu. In customizations section there is tool to install a personal Language file replacing the english file with it. I added this feature because some languages are not supported by the s100 software (Swedish for example), when starting the tool you'll be taken to a file browser where you can select the string file of your Language which will replace the english one. By default the file browser will open in the path \StorageCard\Skinmanager\Extras\Patches\Strings so I suggest you to copy your string file in that folder. I also created a tool to replace the characters fonts because some languages use special characters that are available only in arial font. Hola Kotix. Hace algun tiempo instalé en mi S100 tu software de nuevos skins. Todo bien, excepto que cuando utilizo la radio, solo se queda unos segundos en la estación seleccionada y automáticamente va a buscar la siguiente. Que podría hacer para evitarlo? Muchas gracias. Deactiva la función AF desde el rds menú. Is there FLAC audio player support? I Just bought the skinpack, and downloaded... how do I check which firmware I have? I have a Suzuki Grand Vitara S100 Radio with firmware C053 APP-V1.2.9.0 and want to buy your skinpack. Do you think I need to upgrade to that firmware or can I stay with the one I have. You need to update to last firmware available, the oe you have now is too old. 2. In the regular player I could choose just the first folder that i called music and in that folder I have sub-folders based on artist then albums. All the files could be played without problem. In Nitrogen I can only choose the folders that have music files and manually add each folder with music files in other to get all my music files playing. Is it possible to choose just the main music folder and that the program reads the rest of the subfolders and add the files to the playlist? I thank you for your help and support! how can i get the skin manager ? where can i buy skin pack? Does it have support for brazilian portuguese ?